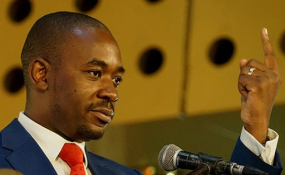 As anxiety continue to build up ahead of the MDC elective congress opposition party President Nelson Chamisa tomorrow (Saturday) heads to the Eastern Highlands' popular town of Mutare as the 41 year old opposition leader moves a gear up to canvass support and consientise party followers ahead of the party's crunch internal elections slated for 24-26 May 2019. Speaking to 263Chat today, party spokesperson Jacob Mafume described tomorrow's gathering as an important event in that it affords party leadership including Chamisa to appreciate party supporters for their July 2018 vote while the opportunity will be also to offer a congress break down. "The rally is on and the President will address on this important event in Mutare. The message is about thanking the people of Mutare for their vote and also to conscientise people on the pertinent issues like dialogue as well as informing the people about the forthcoming congress. We expect the people of Mutare to be there in their large numbers," Mafume said. Party Organising Secretary Amos Chibaya told 263Chat that MDC Manicaland province will paint Chisamba Grounds red with Chamisa expected to conscientise the people on the direction his party is taking in the wake of economic deterioration amid his political standoff with President Mnangagwa. "The President will be telling people that Mnangagwa has destroyed the country. We will be telling people the direction which we are taking as a party to that effect," he said. Chamisa keeps his opponents counterparts in the ruling party Zanu PF guessing as to the net processes of the congress particularly on the positions to be contested. This comes in the wake of allegations that Zanu PF had seen it worthy to splash at least $6 million earmarked to back the embattled opposition Secretary General Douglas Mwonzora to take over the control of the labor backed party. Zanu PF has since rubbished the allegations as untrue charging that as the ruling government it is more focused on rebuilding the economy to improve people's livelihoods.